Ever wanted to learn how to knit? On Saturday, Feb 6th 2016, Sarah Keller, owner of Knot Another Hat, will be offered a free class covering the basics of knitting. Don't miss your chance! Winter is here and that means it is time to knit! What better way to spend hours inside than creating knitted items to wear and share? 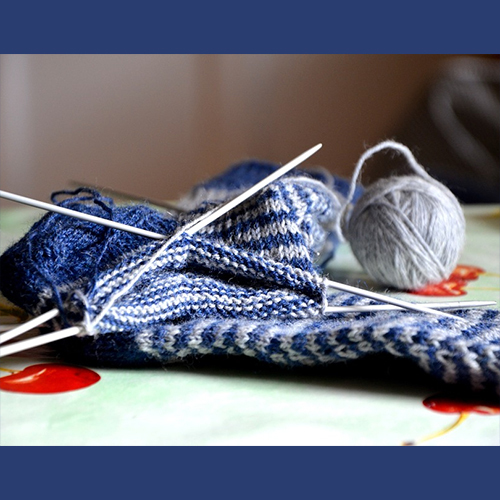 Come learn the absolute basics of knitting while working on a scarf made of super-soft alpaca and merino. Techniques covered include casting on, making the knit stitch, and casting off. Yarn and needles included. The classes will be held on Saturday, Feb. 6 at 1 p.m. at the Cascade Locks Library and Saturday, Feb. 13 at 1 p.m. at the Parkdale Library. Registration is required. Each class is limited to 10 people. To register, please visit or call the library at Cascade Locks 541-374-9317, Parkdale Library 541-352-6502, or Hood River Library 541-386-2535.